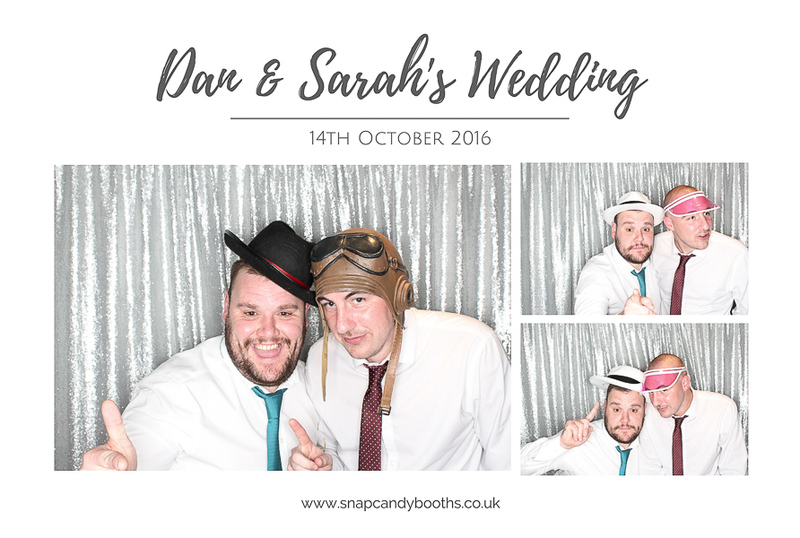 Snapcandy made a first visit to The Nottinghamshire Golf and Country Club this weekend where the absolutely lovely Sarah and Dan had a fantastic wedding photo booth at their reception! 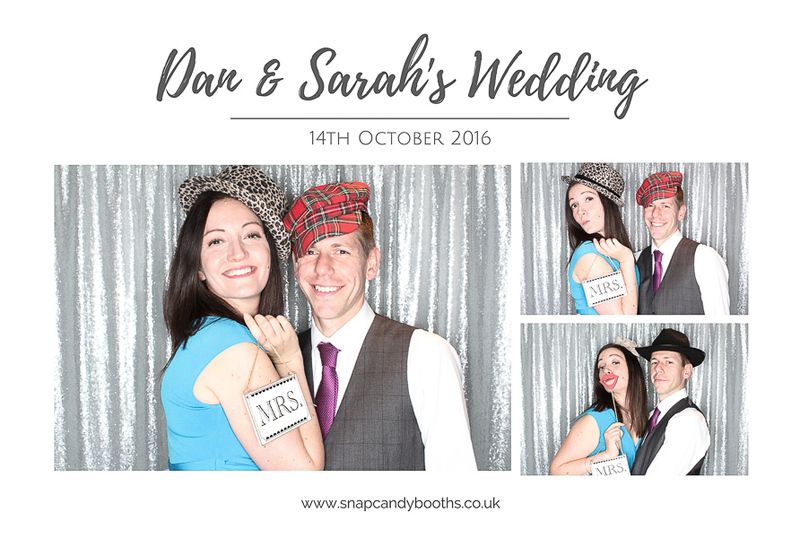 We took along a BoothPod and silver sequin backdrop which looked gorgeous in the room and their guests had a great time visiting the Pod to snap some silly shots for Sarah and Dan’s wedding guest book. 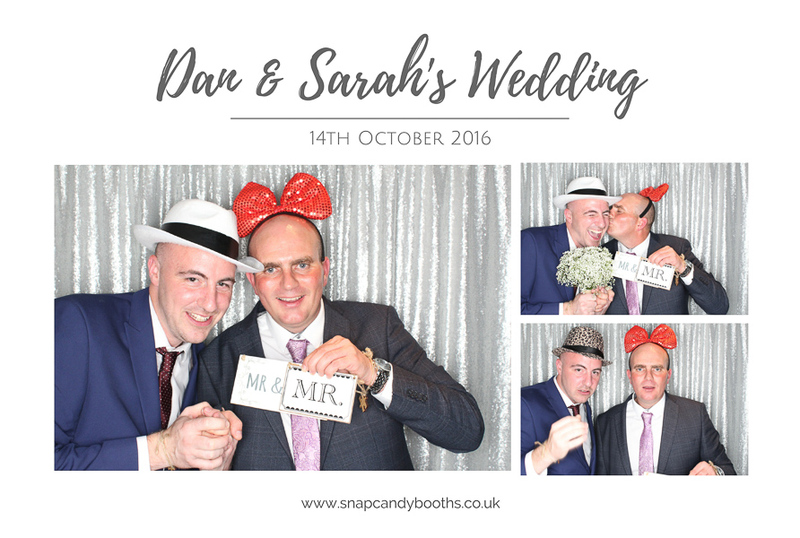 With double printing there were mementos for guests to take home too and the prints looked gorgeous with ‘Dan & Sarah’s Wedding’ featured at the top of the print in a simple handwritten style font. 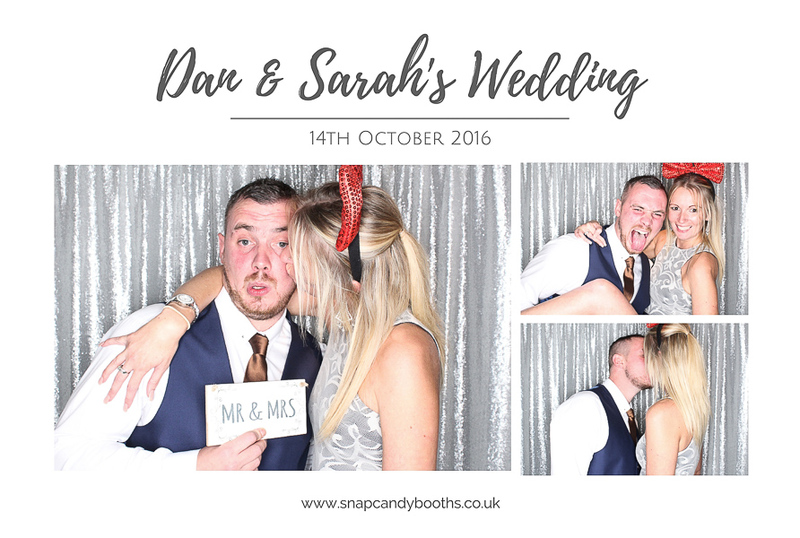 Here are a few fab photo booth moments from the night and you can see even more on the Snapcandy Facebook page. 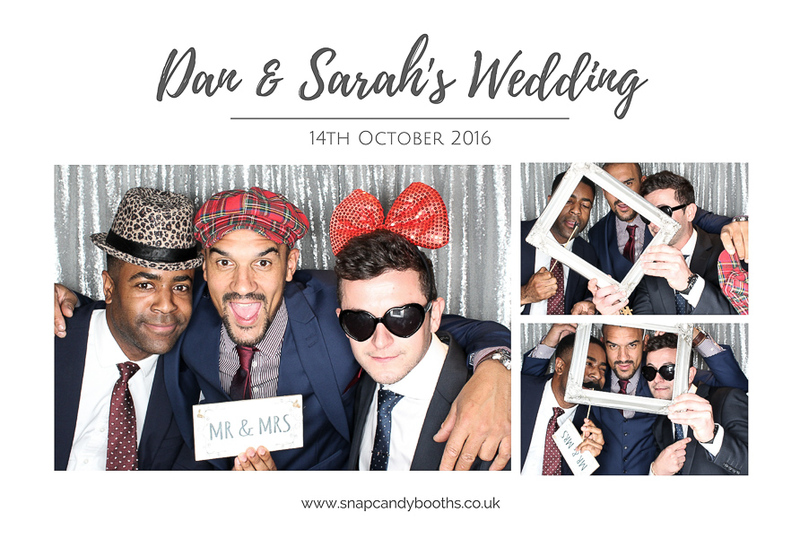 If you’re planning a wedding and would like to find out more about wedding photo booth hire with Snapcandy please get in touch. Hello! 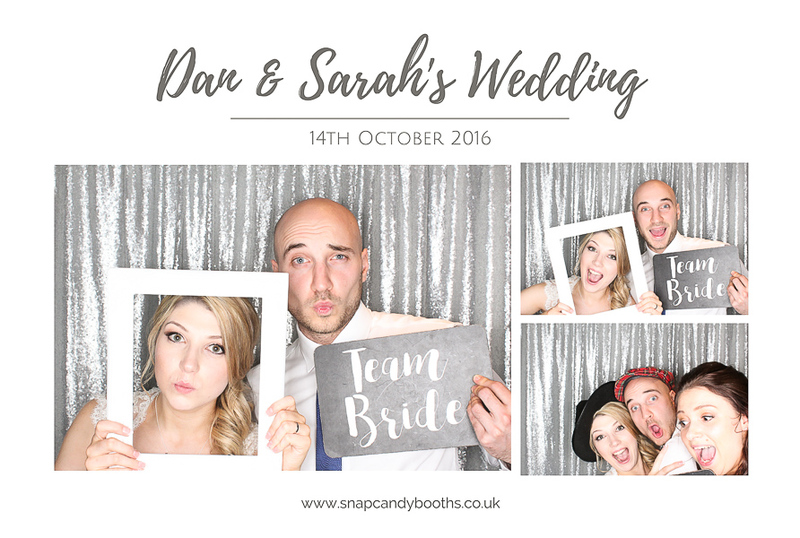 Snapcandy Photo Booths new website is live! We take privacy seriously; we'll only contact you with exciting news about our services if you opt in. Join here to stay in touch! 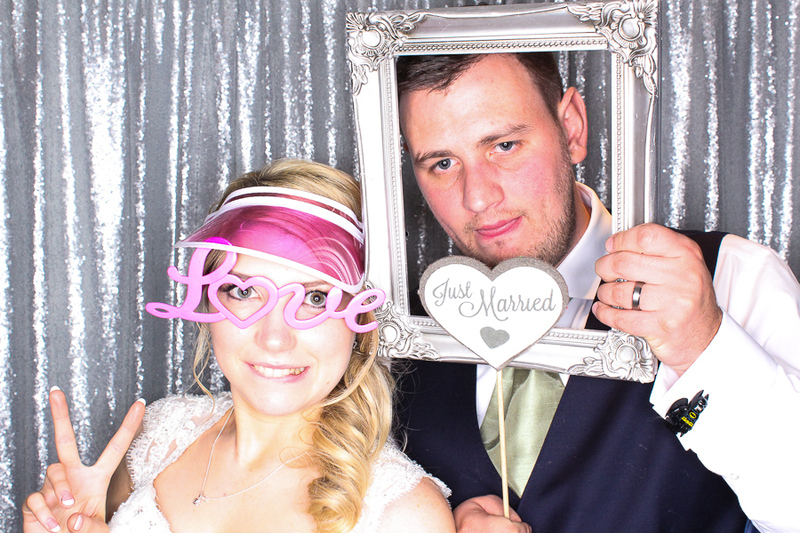 Super Cool Wedding Fun at The West Mill! Introducing our all new RetroPod!